The portable battery built-in wireless magnet RV backup camera attaches to metal surfaces with industrial strength rare-earth magnets. Don't take to the open highway without a breathtaking bird's-eye view. With this portable wireless Hitch backup camera for your RV or any commercial vehicle, you can enjoy America—or any land you choose to explore—in style, with a ride that's as safe as it is satisfying. At TadiBrothers, we strive to deliver the best birds eye view backup camera solutions available, and this wireless portable wonder ranks among our best. Easy to install and even easier to operate, no RV, Trailer, 5th wheel or any other large vehicle operator should be without this technology. But don't take our word for it. Check out this incredible high-resolution Hitch backup camera for yourself, and experience the incredible picture quality afforded by the advanced CCD lens. Take it with you through rain, sleet, snow and eve dust storms, and rest easy knowing that the firm weatherproof casing will keep your camera in optimal working order no matter where your travels should take you. Best of all, you can enjoy the peace of mind in knowing that blind spots are a thing of the past. bundle, featuring a monitor and multiple rear view cameras. This Digital portable Wireless magnetic Camera has a flawless range of 150ft+ (when we tested it in open space we have seen a range of 215ft). 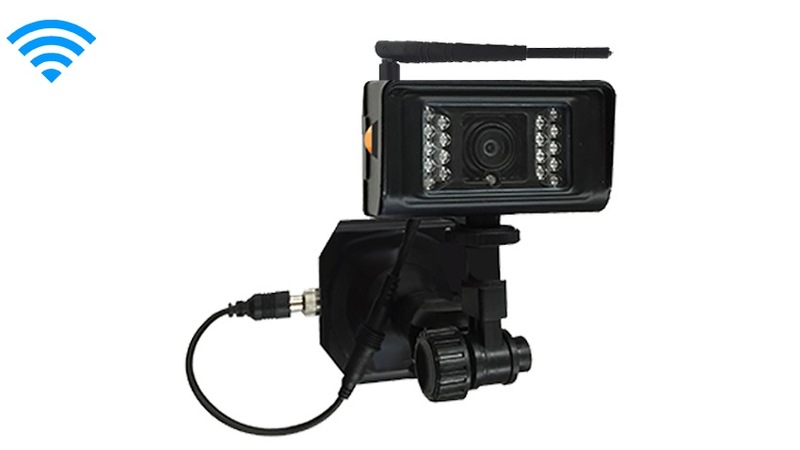 This Digital camera with built in antennas is compatible with any of our digital monitor. It is 100% weather, water, and mud proof. It is extremely durable and has been tested and consistently used in the harshest environments. The Heavy duty portable battery charging time is 3 hours and in return, you will get up to 18 hours of battery life.